The lower half of the plaque displays two penguins on a frozen pond. The penguin on the left, sporting formal attire with a red bow tie, represents the first-ever Senior Prom. The penguin on the right, with hockey stick and puck, represents the girls varsity hockey team’s invitation to play at Frozen Fenway in Boston. The background features three evergreen trees – Isthmian’s symbol – commemorating their win of the Club Cup. 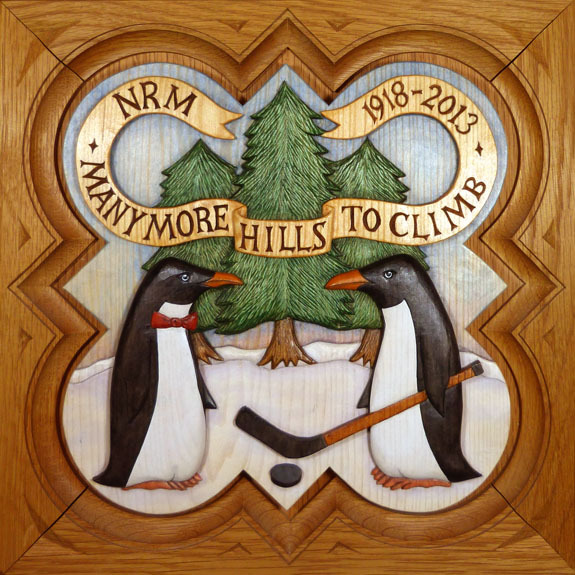 The upper half of the plaque features a ribbon banner with the words “Many more hills to climb,” an excerpt from the Nelson Mandela quote below. 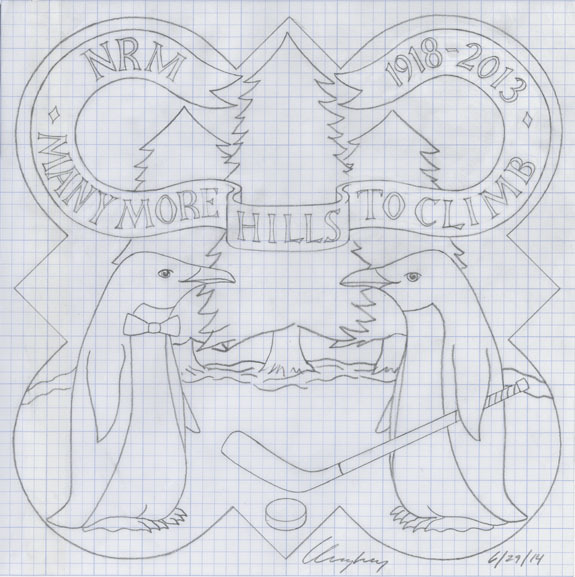 The initials “NRM” and the dates (1918–2013) mark his passing on December 5, 2013. From: Long Walk to Freedom: The Autobiography of Nelson Mandela, p. 554, Little, Brown & Company (1994). Lower left: A penguin in formal attire representing the Senior Prom. Lower right: A penguin with hockey stick and puck representing the girls varsity hockey team’s participation in the Frozen Fenway event. 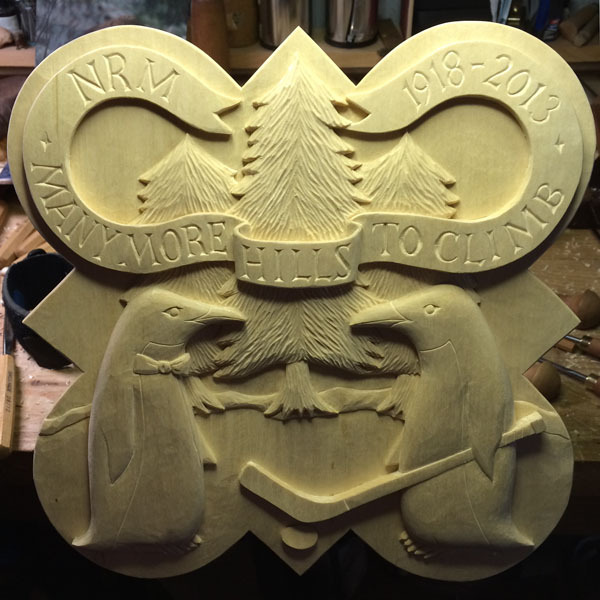 I have begun working on the carving of the 2014 plaque and will be posting photos of the carving process as it progresses – stay tuned for more information!